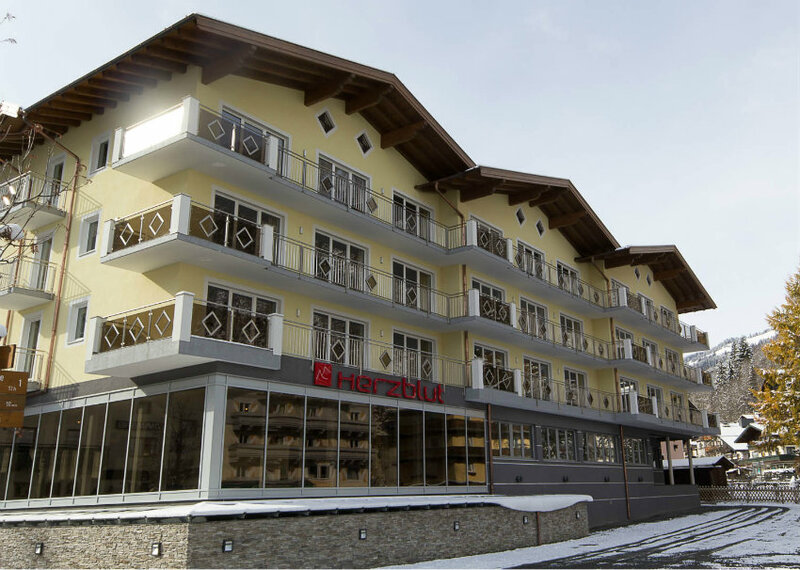 Built in 2011, the modern Hotel Herzblut is located around 150 metres from the very centre of Saalbach. The nearest ski lifts are around 100 metres walk from the hotel, the closest ski bus stop is around 50 metres and it is possible to ski back to the hotel, snow conditions permitting. 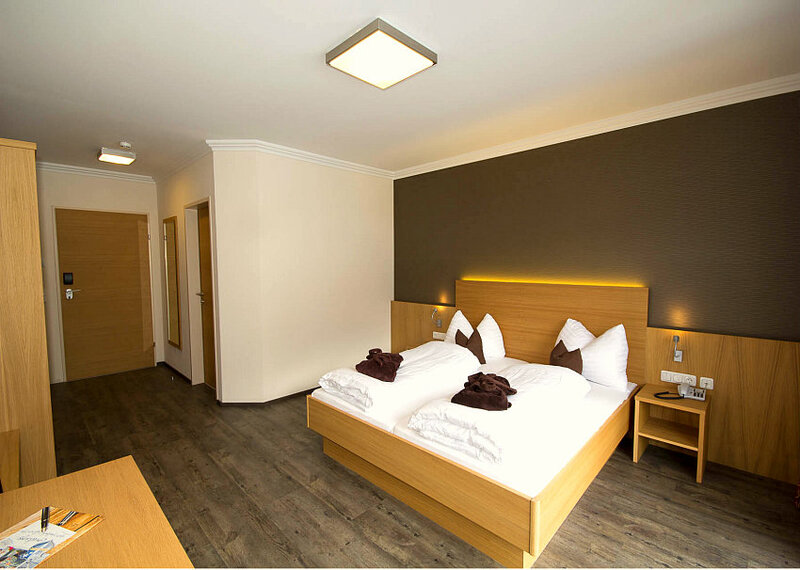 The hotel has a reception, lobby, café, bar, reading and relaxation room, TV room, breakfast room, lift, ski and boot room, luggage storage room, conference and meeting room. WiFi is free and there is free parking outside of the hotel. 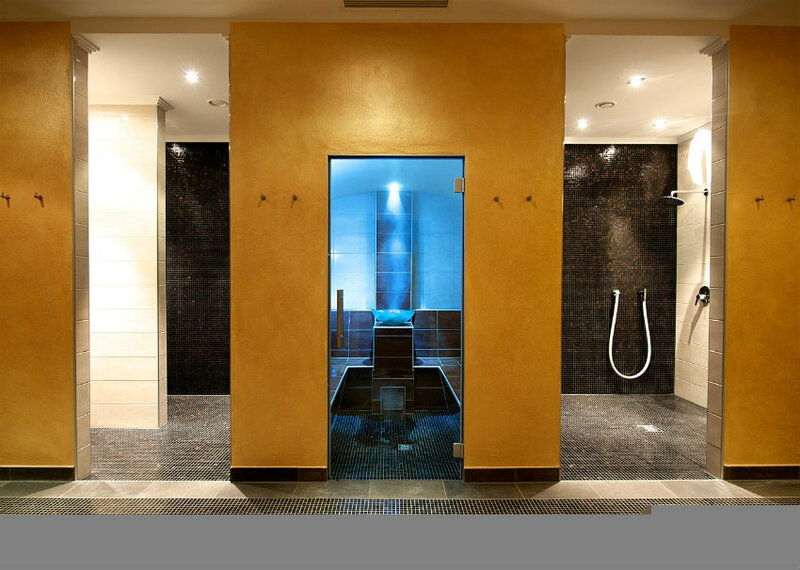 Wellness and leisure facilities include a fitness room and a 300 m2 wellness area with saunas, steam room and a relaxing quiet area. Facilities are available 4-8pm (or as posted locally) for guests over 12 years of age. Please note the whole hotel is non-smoking. Major credit cards accepted. 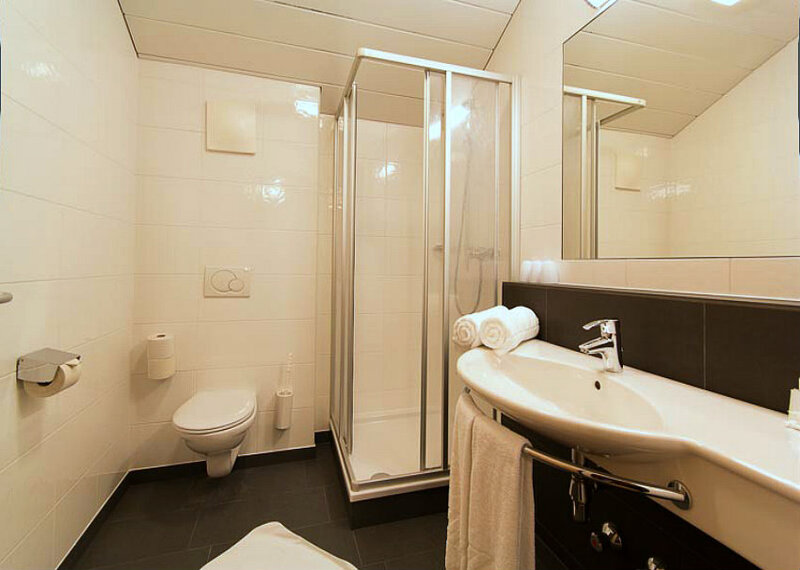 With wooden floors and a fresh, clean design, all ensuite rooms (shower/bath, WC) sleep 2-3 guests and feature a balcony / terrace, free WiFi, radio, telephone, cable-TV, safe and hairdryer. There is a great choice of restaurants in Saalbach offering both traditional and international cuisines and eating out is very good value. 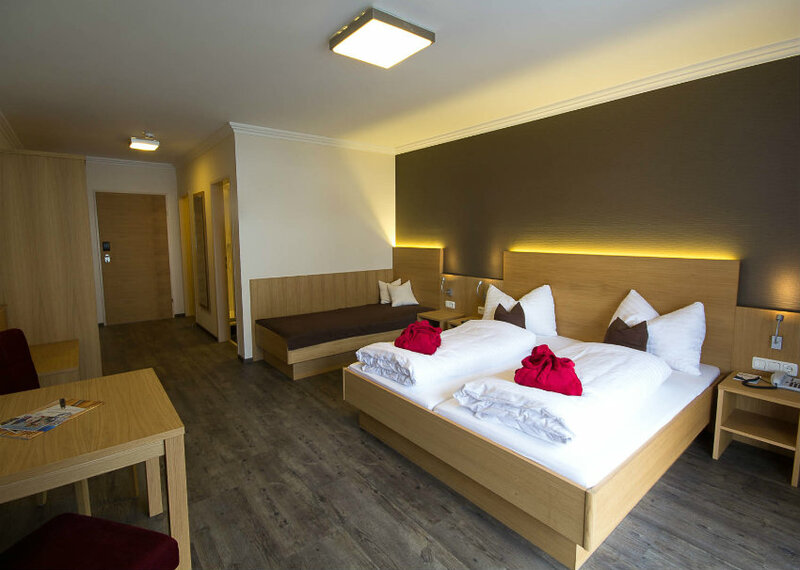 The Hotel Herzblut is a welcome addition to our programme offering a clean, modern design in a central location with the flexibility of a bed and breakfast arrangement. This hotel is new to our programme.